THE MISSION OF THE RFS COLLEGE COUNSELING OFFICE is to support and empower students to drive their college application processes to success, and ultimately, matriculate into a strong institution that fits their strengths and personality. At RFS, the College Counseling office reflects the whole-student approach of the larger Quaker campus; we hold the perspective that the office's primary goal is to give students the tools to drive and manage their college entrance journey independently, and ultimately take responsibility for achieving their higher education goals. The primary role of the college counselor is to facilitate college-to-student communication, represent RFS to world-renowned higher education institutions, and facilitate the student application process through student resources like the college research toolbox, SAT preparation, college admission and scholarship strategy, and communication best-practices. As Quaker school educators, we aspire to help students in the way of self-discovery and knowledge; therefore, we encourage them to not only consider colleges and universities based on the prestige factor, but also on academic and social suitability for the pursuit of personal growth. With this approach we honor the diversity of achievement, interests, aspirations, and backgrounds that our students represent. If you are traveling in the region, we would love to welcome you to our campus! The Ramallah Friends School holds classes on Mondays through Thursdays and on Saturdays. Our current academic calendar, noting holidays and test days, is available here. We are happy to advise on travel logistics such as transportation to and from our campus. We also welcome virtual presentations via Skype or other online platforms. For more information about scheduling a visit, either in person or online, please contact Chris Akel. 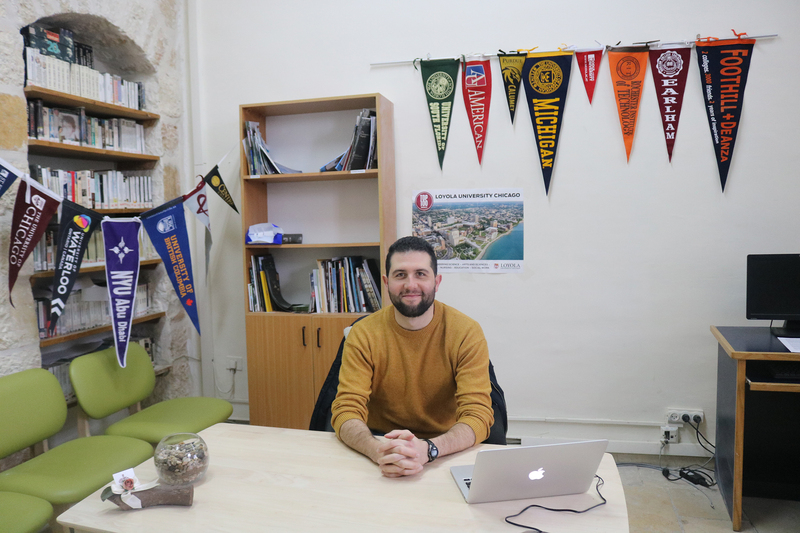 If you would like to stay informed about college counseling news and trends at the Ramallah Friends School, please subscribe to our bi-annual college newsletter. The majority of college applications to institutions around the world are submitted in the Fall of a student's 12th grade year. However, the college process for students starts much earlier. 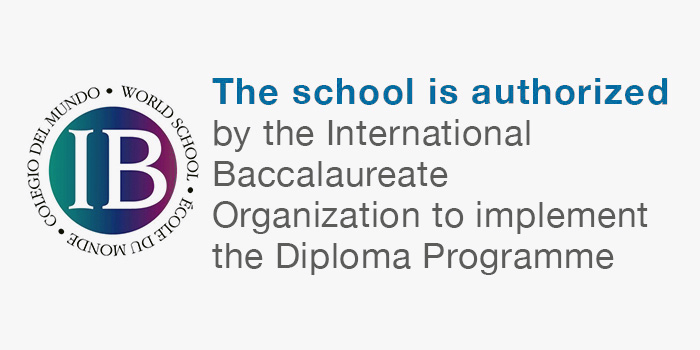 Scoring in the top 5% on international assessments, developing a strong transcript, strengthening relationships with teachers, and generally having an excellent application all happen over time. Below, is an explanation for how students should approach each of their High School years in terms of developing their college entrance competitiveness. For seniors, the college process involves organizing, writing, and completing the college applications. During senior year, students should have the majority of the college application finished, or close to finished. Students who have not finished 50% of the work needed for their applications are not as competitive internationally. The essential pieces needed for most applications are listed below. Bolded are the elements that should be saved for a student's final year in high school. * A finished college application, complete with school documents. * For Canada and Europe: minimum IB Predicted score. In their sophomore year, students' focus should be developing two key aspects of their college applications: grades and leadership. At RFS, student-leadership begins well before 10th grade, but the strongest candidates begin to shine during their 10th and 11th grade activities and leadership roles. Students should also focus on achieving and maintaining the highest grades possible. Finally, during their 10th grade year, the most competitive students begin developing their college lists and even studying for their SAT exams. Often this is the year students go on exchange programs around the world, or begin intensive research projects to add real-world experience to their applications. During their first year of high school, students should primarily focus on beginning the 9th grade with the strongest grades possible. For students interested in the United States, these grades will show up on their final 12th grade transcripts, and for students entering the IB Diploma program, these grades will inform both the rigor of classes available to them and the arc of their performance which results in a Predicted IB grade in their 11th grade year. The top 9th grade students should also seek to begin developing their leadership skills. This means joining clubs and activities of interest to them, working to build a reputation as a hard worker and skilled communicator, and developing as many relationships with campus staff as possible. Throughout their High School careers, Ramallah Friends Students have access to the Counseling Handbook and from 10-12th grade, students also have access to a Family Connection account, which provides additional resources including guidebooks, financial aid and scholarship information, checklists, or other university planning information. All high school students are invited to participate in a range of counseling activities such as presentations by visiting admissions representatives, alumni college fairs, and other application or assessment workshops. Finally, all students should be well-adjusted to consistently checking their RFS-assigned email, as this is how important documents, events, admissions, application, and results are announced to the school community. For our students' higher education matriculation history since 2013, click here. To access Ramallah Friends School's College Counseling Handbook for Class of 2019 follow this link.